The earliest-blooming lilac and arguably the best for fall foliage display, this hardy, easy to grow, and highly adaptable. 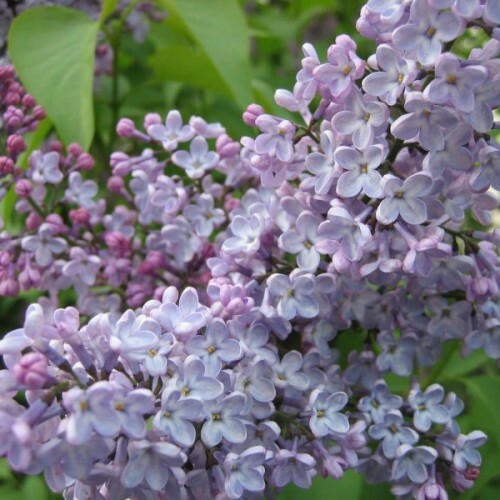 Its broad conical clusters of fragrant lavender, purple, or white flowers from early to mid-spring, some 10 days before those of common lilac. 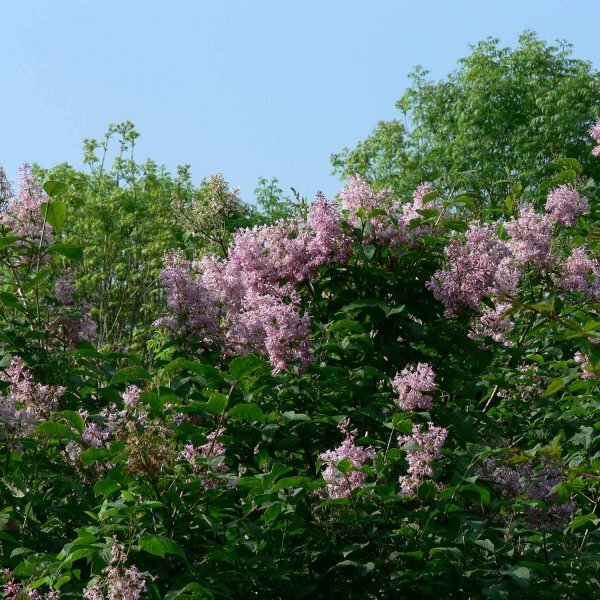 A large rounded deciduous shrub from East Asia, it has broad heart-shaped leaves that are bronze-tinged when young and turn wine-purple in fall. 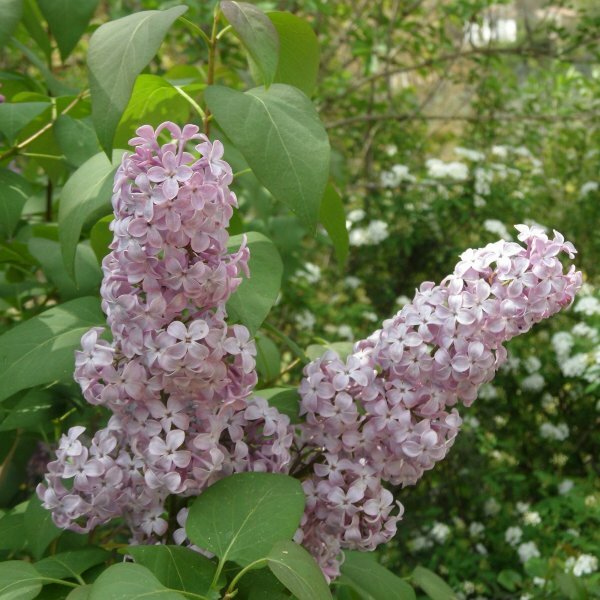 Plant this shrub in full to partial sun and well-drained mildly acidic to mildly alkaline soil. It is most floriferous and least lanky in full sun. It requires relatively chilly winters and moderate summers to grow and flower its best. 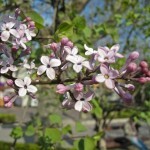 The early blooms may be damaged by late freezes. Like most lilacs, it is susceptible to powdery mildew, especially in humid droughty conditions. 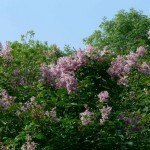 Mass it in screens, windbreaks or hedges, or use it singly in a shrub planting or mixed border. It is ideal near a path or patio, where its perfumed flowers can work their magic. The flowers are also wonderful in bouquets.